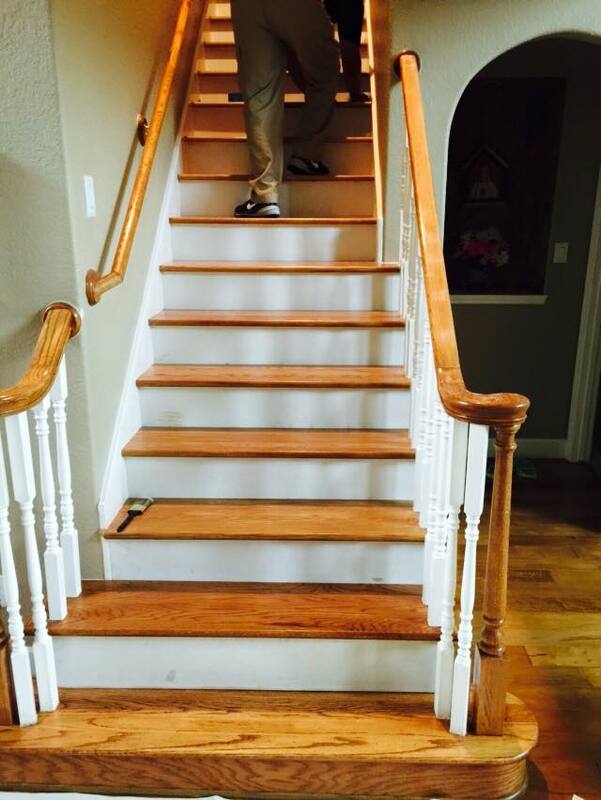 These hardwood stairs have experienced a lot of up and down foot traffic over the years. The centers of the steps were dull, scratched and needed a new finish. That's when the hardwood floor experts at Stonewood Hard Surface Cleaning & Restoration came to the rescue! Our wood floor professionals stripped the worn finish and lightly sanded down the scuff marks, leaving behind a new surface. Then we refinished the steps and honed them to a slip-resistant, satin finish. If you are in the Houston area and need hardwood floor cleaning, polishing or refinishing contact us today! Need to schedule a free estimate?